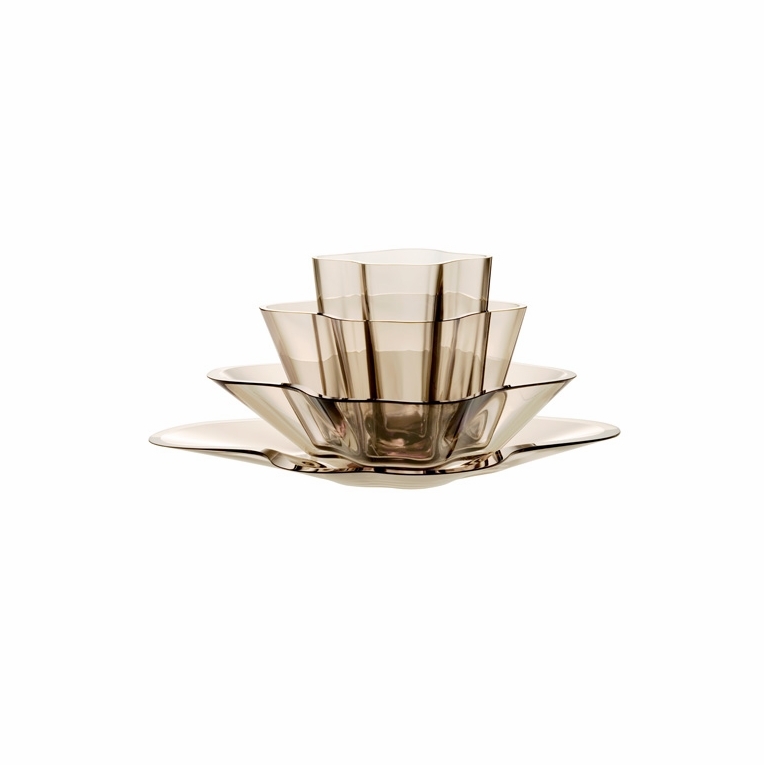 Alvar and Aino Aalto designed the "Aalto Flower" for the New York World's Fair of 1939. It is comprised of four beautifully stacked pieces that can be used separately or as a whole. The Aalto Flower has been featured in many exhibitions worldwide. It can be the centerpiece of your glass collection, too. Lead Time: Please allow 2-3 weeks for delivery. Shipping Method: Tailgate delivery (standard). Furniture Shipping: More furniture shipping info here.